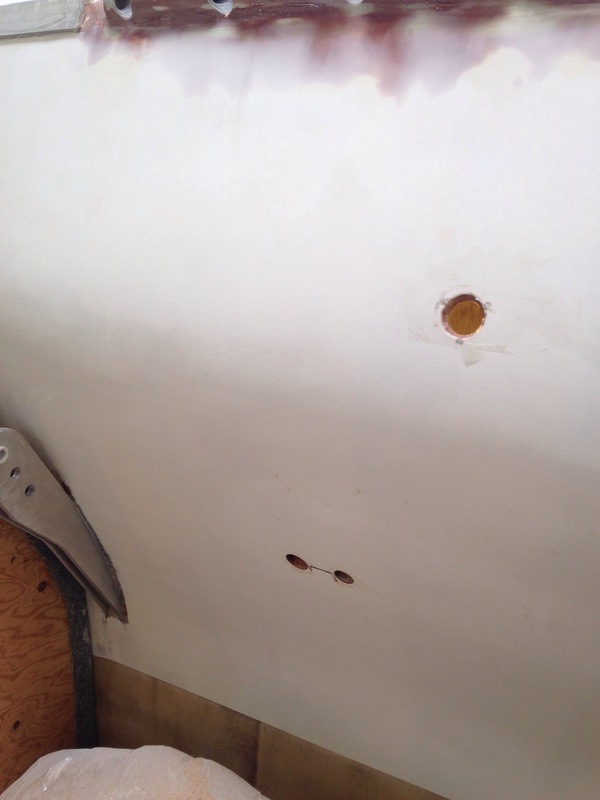 Another item on the ‘prep for paint’ list is solving of all the plumbing runs, especially as they relate to fitting around cabinets, bulkheads and the hull sides. As to be expected, everything starts at the throne. We originally wanted all the pipes hidden, but the space is proving too tight. Some of the piping and the deck port for waste pumping will live behind this cover. 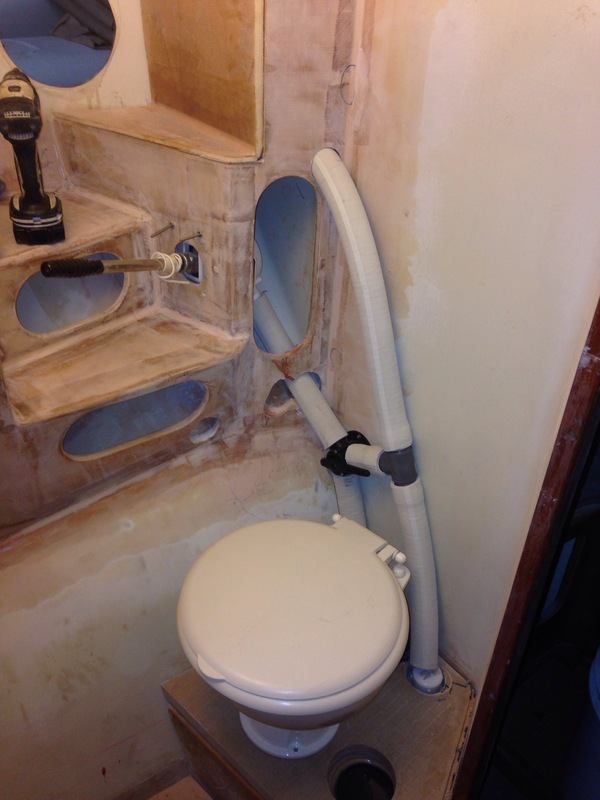 With the toilet plumbed we moved on to drainage for bilge and shower sumps, then the two sinks. 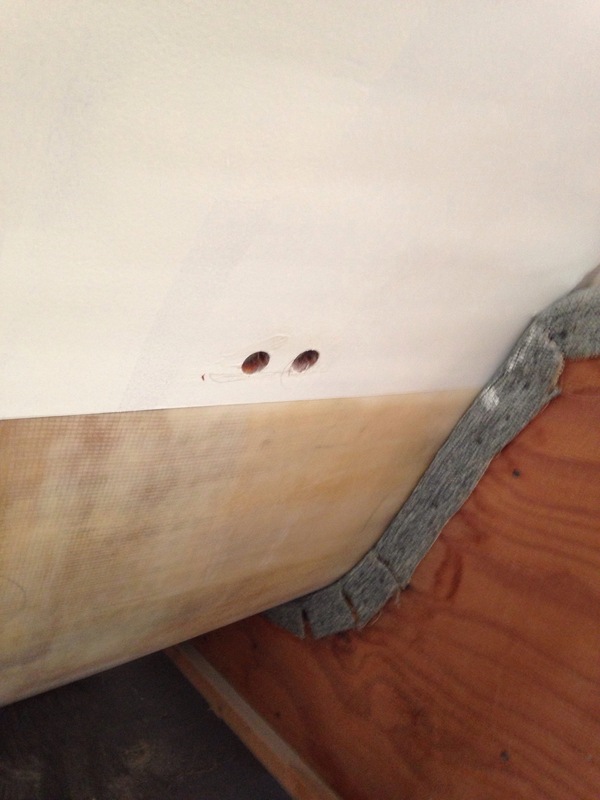 More holes in the hull! 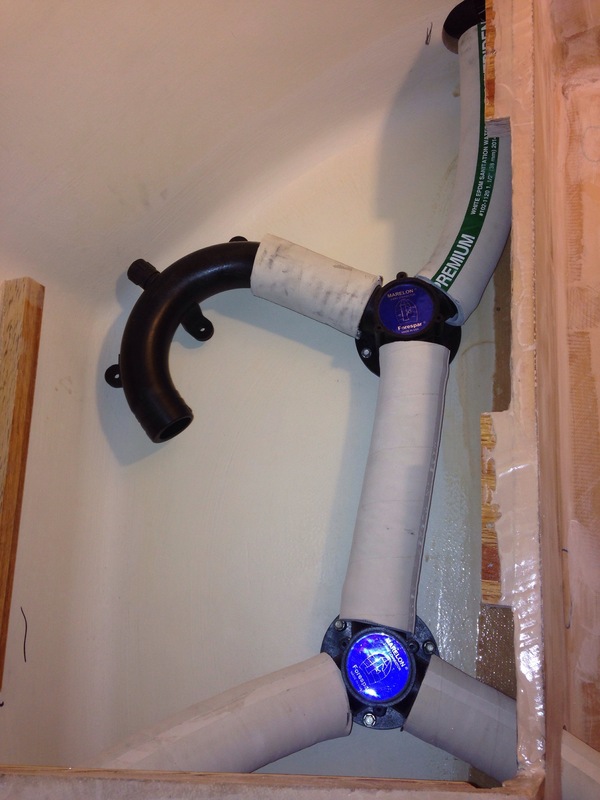 Moving aft about five feet, tucked inside a cabinet behind the shower, are the bilge and shower sump exits, with the fresh water tank vent above. 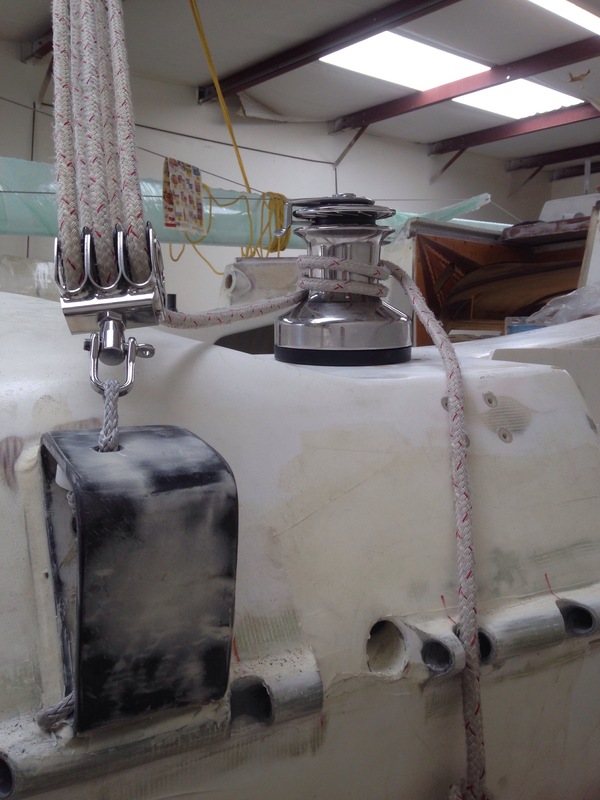 And the last two were drilled just forward of the aft beam – one for the propane locker vent and the other a discharge line for the desalinator. 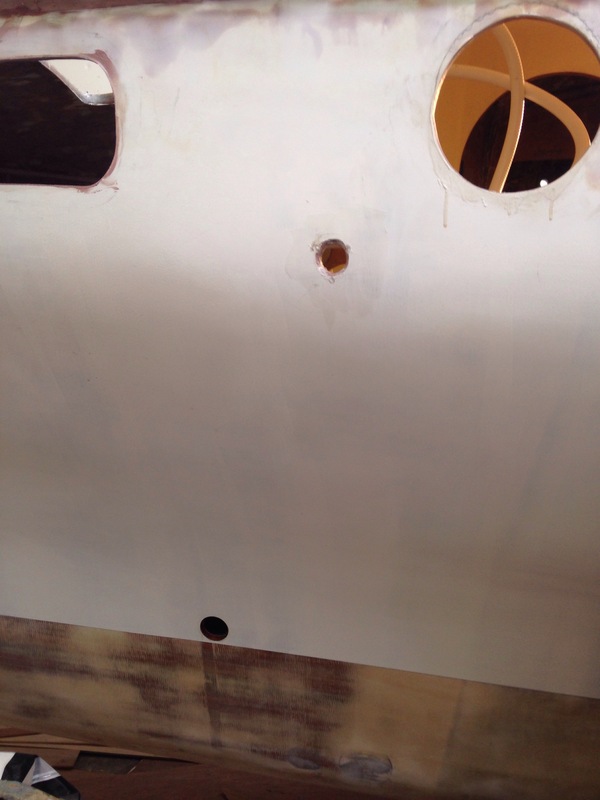 Most of the needed bulkhead pass-thrus were cut to route pipes/tubing. 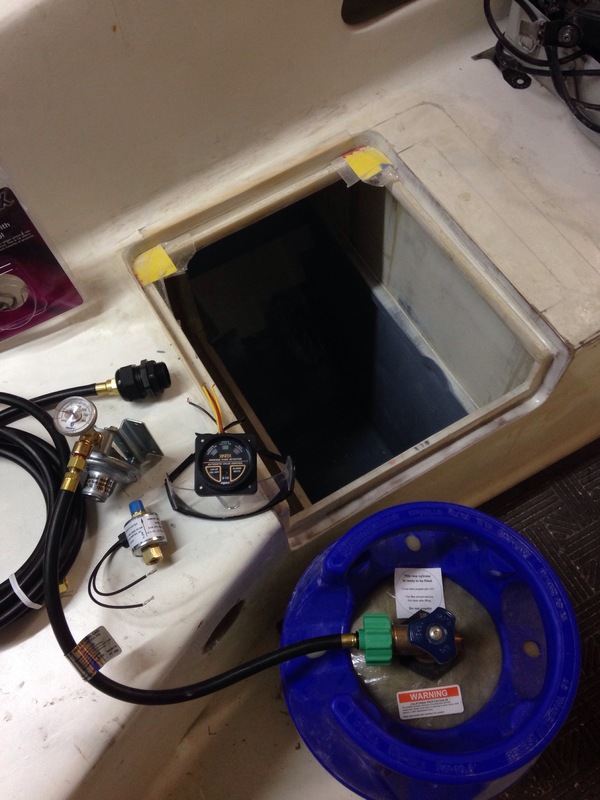 Then it was a trial fit of the propane system, which fit the new locker nicely. It’s all done to ABYC standards, including a propane fume alarm system as we’re forever haunted by my grandparents’ near-tragic monoxide incident aboard a boat 50 years ago. Speaking of sails – they’re done and will get on a truck next week. That’ll be an exciting delivery! 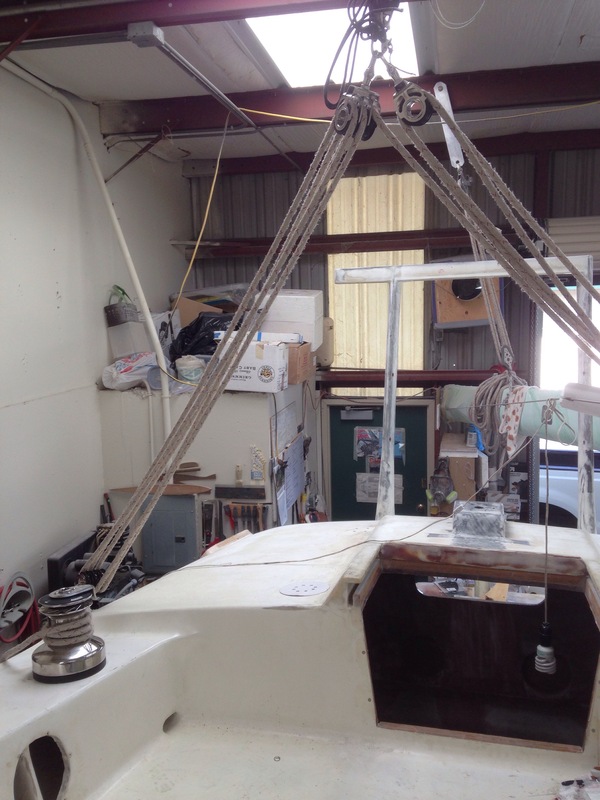 This entry was posted in plumbing, rigging by cartersboat. Bookmark the permalink.